A CGI of the system's rolling stock. Photo: DMTC. 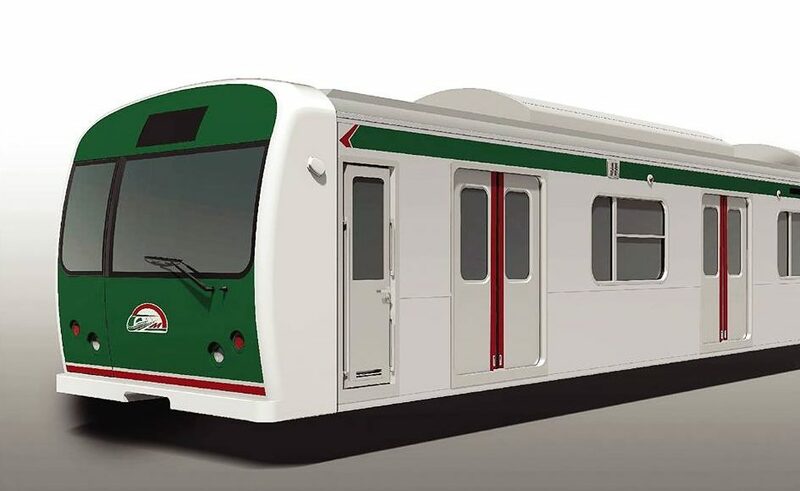 A joint venture (JV) between the Japanese company Marubeni and India’s Larsen & Toubro (L&T), has been awarded a 55 billion Japanese Yen (∼€428.2 million) contract to supply electrical and mechanical rail systems by the Dhaka Mass Transit Company (DMTC). The deal covers Line 6, which is set to be the first mass rapid transit (MRT) system in Bangladesh. 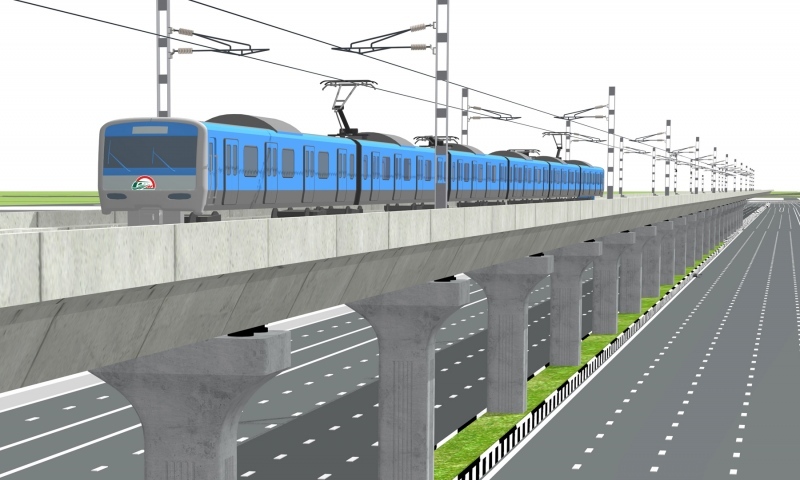 This elevated line will be 20km-long with 16 stations stretching from the north to the south of Dhaka. It is fully funded by the Japanese Official Development Assistance office, which is part of Japan’s Ministry of Foreign Affairs. A map of the line’s route. Photo: DMTC. The Marubeni-L&T JV’s contract covers the design, procurement, installation, testing, commissioning and maintenance support of track work, electrification, signalling, communication systems, platform screen doors, automatic fare collection, lifts and escalators. 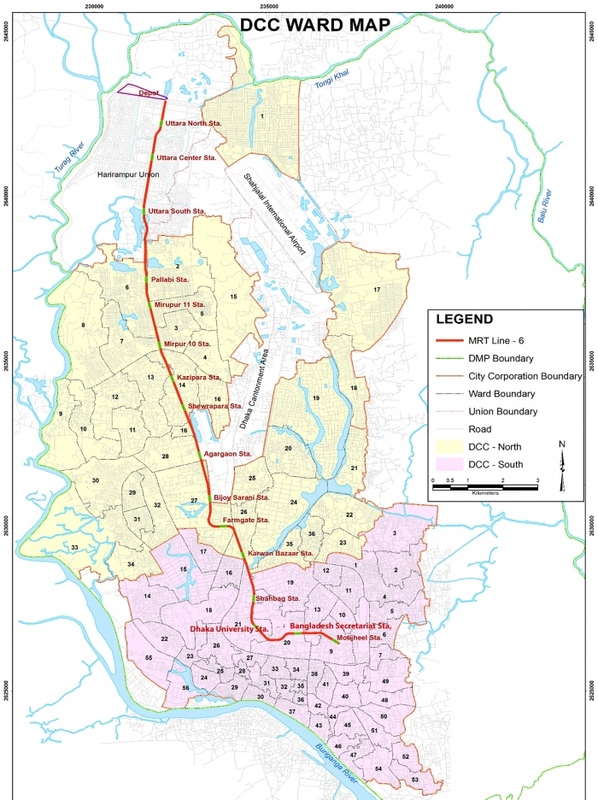 Traffic congestion and air pollution are becoming increasingly serious problems in Bangladesh’s capital city as the population has grown to exceed 15 million and the government is looking to the MRT system to help tackle them both. The contract was signed between DMTC and the Marubeni-L&T JV on June 3.